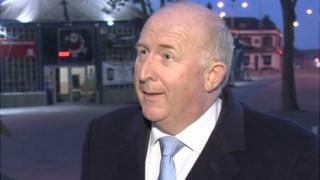 The Police and Crime Commissioner (PCC) for Wiltshire and Swindon has announced he is to stand down next year. Angus Macpherson, 66, who has served two terms, says he will not seek re-election to the post. Mr Macpherson added he remained "fully committed" to the role over the next 12 months and would stand down once a new PCC is chosen in May 2020. He was elected to office in November 2012 and re-elected in 2016. He said: "I have served the people of Wiltshire and Swindon as their PCC for nearly eight years and in that time I have made many changes to Wiltshire Police to improve its efficiency and to make it match fit for the 21st Century. "I believe I have accomplished many of the aims which I set out to achieve within the Police and Crime plan." In May 2014 Mr Macpherson was taken seriously ill after suffering a heart attack. but returned to work later that year.